Expert advice, hand picked products and genuine support to help you on your journey. Justine and Sally here, your weight loss surgery dream team. Working with over a thousand people each year preparing for, undergoing, or who have had weight loss surgery, we are here to support you. Not only do we offer online and in person support, we have developed and hand picked a range of tools to make your journey a successful one. To get started, choose one of our FREE toolkits. Visit our online store to find all the very best weight loss surgery products. Get exclusive access to us, our community and our expert advice. Check out some of the other great products that we recommend. – The very thought of undergoing weight loss surgery without support makes you feel uneasy. – The weight loss surgery honeymoon is well and truly over and you are wondering, “what now?”. – You are tired of seeing so much conflicting information and struggle to distinguish weight loss surgery fact from fiction. – You want fast, reliable answers from experienced, qualified professionals who can answer your nutrition questions at a time that’s most convenient for YOU. If so, we get it. 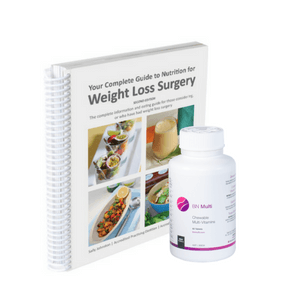 The Nutrition for Weight Loss Surgery Inner Circle is here to help you.